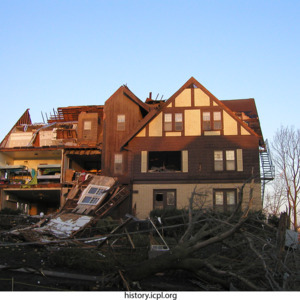 Creator is exactly "Wilson, Bu"
The Mill had to replace its signs and doors after being hit by the 2006 F2 tornado. 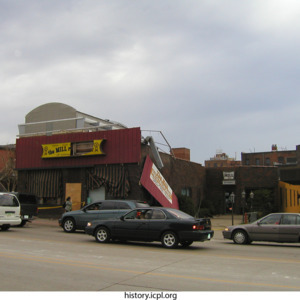 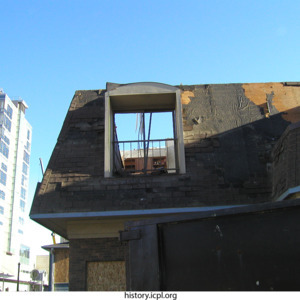 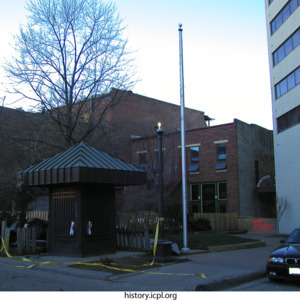 2006 tornado damage: Mailboxes of Iowa City, the Futon Shop, and the barricaded intersection of Burlington and Linn Streets. 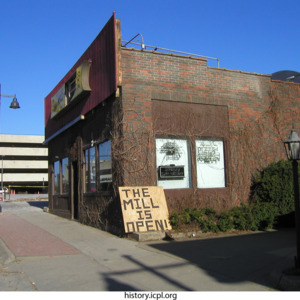 The Mill with wooden sign declaring "The Mill is Open!" 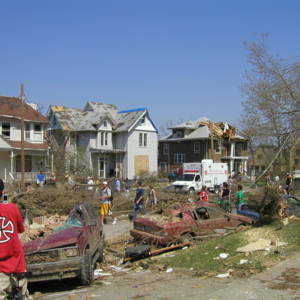 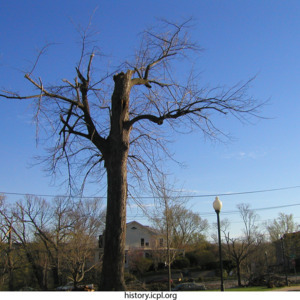 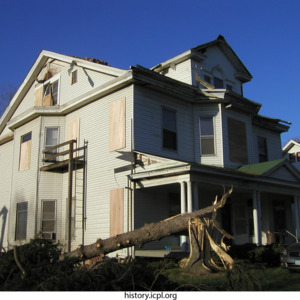 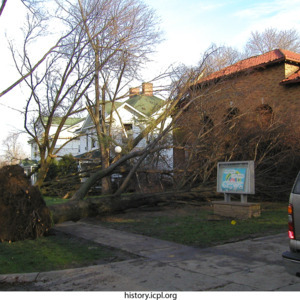 after the 2006 F2 tornado struck. 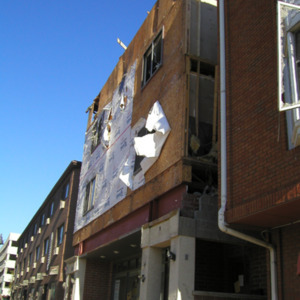 The Dubuque Street entrance to the Pedestrian Mall, looking north, blocked off after the 2006 F2 tornado struck.